A cultural and social activist based in Singapore. Our artwork Archive of Future Commons will be on show in 72-13 as part of SIFA for another 5 more days. If you can, go access the books and check out the rest of the exhibition! Here are some photos for those of you who can’t make it there. Opening night reading performance by Nora Samosir. Reading group session of States of Denial, led by Dr Jun Zubillaga-Pow. This was posted on The Substation’s FB page. Duplicated here for those of you not on FB and also for our own records. Post-Museum started a 2-month residency in The Substation on 11 Jul. One of the first things we heard about The Substation residency was that there are ghosts in the building. Ooh, exciting! We have a strong interest in the supernatural, and though we can sometimes feel them, we have not been able to see any. In our artwork The Bukit Brown Index, we have created a Supernatural Map of Bukit Brown, a drawing of where people have experienced ‘encounters’. And, of course, we are living in Asia, where most people believe in ghosts, and specifically in Singapore, where book series The Singapore Ghost Stories has been on the bestseller list for as long as we remember. Ok, back to The Substation. So, it seems that there are 4 spirits that haunt this place: a little girl, an old couple and a shapeshifter. Don’t be scared, this is not unique to The Substation – as far as we’ve heard, all the old buildings and especially museums in Singapore, have their own in-house spirits! Anyway, they are everywhere and are generally harmless, just that we usually can’t see or feel them… So, as our residency coincides with the Seventh Month aka Hungry Ghost Festival, and we’ve recently learned about the special service that the Buddha Tooth Relic Temple offers, we decided to do something for the 4 ‘friends’ in the building. The special service offered by the temple is a 5-day chanting session during the Ullambana Festival (from 16-20 August), where the merits of the chanting could be dedicated to one’s ancestors, named deceased, karmic debtors, wandering spirits and/or spirits at a specific location. The earliest written evidence of the existence of this festival that has been found by researchers is from around 400AD. ‘Yulan Pen’ (盂蘭盆) is the Chinese name, and ‘Ullambana’ is the Buddhist Hybrid Sanskrit name. This festival is also called ‘Zhong Yuan Jie’ (中元节) as it has been held in conjunction with services honoring the ‘Zhong Yuan’ (Middle Primordial) of the Taoist pantheon. This festival is important to both Buddhists and Taoists, and because of the interwovenness of early Chinese society and religion, it is considered an important Chinese festival. Variations of the festival exist in Korea and Japan. ‘Yulan Pen’ is widely considered to be connected to the story of Mu Lian (目连 aka Maudgalyayana) saving his mother. It is said that his mother has been reborn in the deepest of all hells where she suffered retribution for her evil deed in a previous life. She was starving and unable to eat as any food that was offered to her would burst into flames upon reaching her mouth. The Buddha told Mu Lian that the only way to save her was to provide a feast for the monks who were emerging from their summer retreat on the fifteenth day of the seventh month. This ritual indeed resulted in his mother being released from hell, and hence this festival is celebrated as an act of filiality, to achieve salvation for ancestors. In addition to the story of Mu Lian, the Taoists also believe that the fifteenth day of the seventh month is the day when the Officer of Earth (Zhong Yuan) adjusts humans’ life spans according to the good and evil they have done. This is also the time when hell’s prisoners and hungry ghosts are allowed back in the human world and can eat their fill. As such, this is not only a time for Taoists to make offerings to gods and ancestors, it is also a time for rites of confessions. We hope this post has helped you to understand a bit more about what this festival is about. We’ve always just thought that this festival is a time to appease the spirits but it is actually much more. If you would like to read more about it, we highly recommend the excellent book from which the info in this post is from: The Ghost Festival in Medieval China by Stephen F. Teiser. Happy Seventh Month and more updates soon! For the month of September, Post-Museum presents Survey: Space, Sharing, Haunting, a series of programmes examining and reflecting upon the state of arts and culture in Singapore. Post-Museum will re-configure the space in The Substation for Survey. One of the significant changes is altering the way audiences enter into the historic ‘Home of the Arts’ for the month. The main door will be closed, and audiences will enter and exit from another opening in the building. There will also be several spaces created, such as So It May Seed (an urban farm growing food crops), Post-Provision (a shop selling merchandise), and Club House (multi-purpose social space). 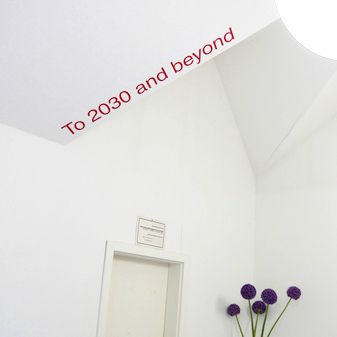 The Survey: Space, Sharing, Haunting exhibition forms the backbone of the programme. It is a combination of intersecting threads which speak to a diversity of cultural practices and reflects the state of the arts and culture in Singapore. With each thread imposing or superimposing on each other, we invite cultural producers and audiences to reflect upon their own role within the cultural landscape of Singapore. The exhibition features the work of individuals such as Kray Chen, Chia Aik Beng, Clara Chow, Chu Hao Pei, Faiz Bin Zohri, Geraldine Kang, Kai Lam, Urich Lau, PG Lee, Hell Low, Alecia Neo, Jennifer Ng Su Yin, Nurul Huda, Quek Ser Ming, Adrian Tan, Yeo Su Jan, and groups such as Foodscape Collective, HOME, iFIMA, Parking Project, Plastique Kinetic Worms, Prohibited Projects, and Zero Station. In addition, there will be a range of activities which further elucidate the three themes of Survey, including Activity Station, Club, Event, Lecture, Performance, and Residency. Survey will be opened daily (except Mon and PH), from 12 – 9pm (Sun, Tue-Thu), 12pm – 12am (Fri+Sat). Almost all of the activities are free entry, with prior registration required. We have been busy preparing for an art exhibition entitled Der Kula Ring, that’s taking place in Weimar, Germany, from 2 June – 10 July. 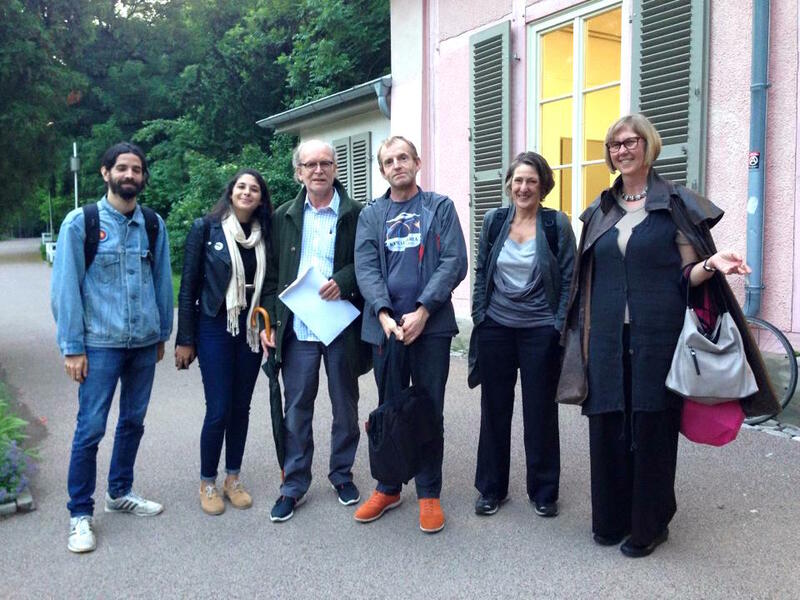 It’s a part of Kultursymposium Weimar 2016 [http://www.goethe.de/ges/prj/ksw_neu/enindex.htm]. 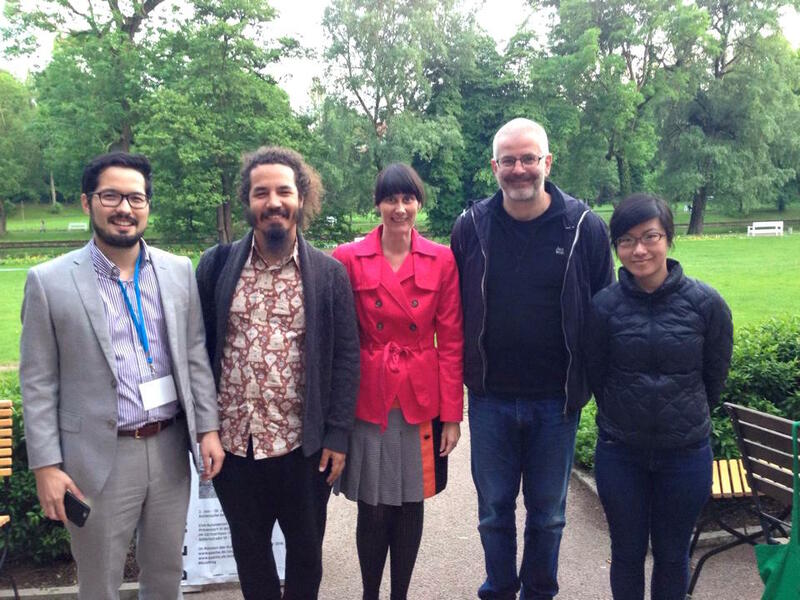 We will be presenting our latest work, Archive of Future Commons. 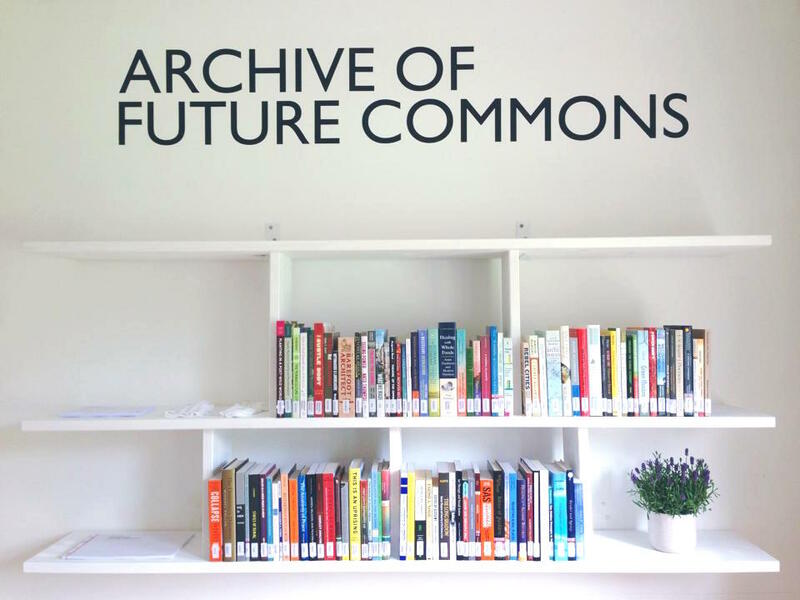 The Archive of Future Commons is a collection of publications which would be shared resources of all members of society in the year 2030. These publications contain thoughts, practices, and movements from the past and present which would inspire change, and contribute to the creation of a better collective future. More info on the exhibition here: http://www.facebook.com/events/1095617023842043/. We are happy to be invited to participate in Jakarta Biennale 2015: Neither Forward Nor Back, and we are just back from spending 2 weeks there. Here are some images of our work, Jakarta Really Really Free Market, in Gudang Sarinah (the main JB2015 venue) and Marunda (low-cost housing community in North Jakarta). Jakarta Biennale 2015 is on until 17 Jan 2016. If you have items you want to give away, do bring them down to Gudang Sarinah as the free store is ongoing for the duration of the biennale.